Revolutions are the great turning points of history. A revolution is a tumultuous and transformative event that attempts to change a nation, a region or society – and, in some cases, even the world. Revolutions vary in their motives and their aims. Some, like the American Revolution, seek to overthrow and replace the political order. Others, like the Russian and Chinese revolutions, also seek radical social and economic change. A common factor in all revolutions is that they are fast moving. In a short time, often just a few years, a revolution can bring about significant change and upheaval. Most revolutions are driven by people and groups inspired by hope, idealism and dreams of a better society. These revolutionaries attempt to change or overthrow the old order, while the old order strives to maintain its power. The outcomes are confrontation, conflict, disruption and division, which can lead to war, violence and human suffering. 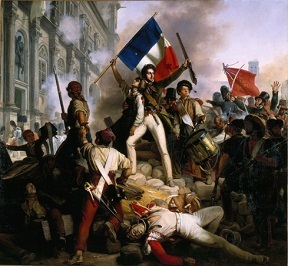 Eventually, the revolutionaries emerge victorious and set about trying to create a better society. In most cases, this proves much more difficult than they had anticipated. Long term causes. Revolutions do not occur suddenly or ‘out of the blue’. They develop after a long accumulation of grievances and dissatisfaction. These grievances can be political, economic or social, or a combination of the three. These grievances on their own may not be enough to spark a rebellion or revolution – however, they can undermine or erode faith in the ruling class, the political order or prevailing economic system. Ordinary people become dissatisfied and frustrated with their lot. Revolutionary sentiment begins to circulate and grow. These unsettling ideas might simmer for years or even decades before any action is taken. They provide a fertile intellectual ground in which the seeds of revolution can germinate. Short term causes. Every revolution is triggered by at least one short-term event or crisis. These events create, worsen or highlight existing grievances, conditions or suffering. This brings about more urgent demands for action or reform. Some events or crises that might trigger a revolution include disastrous wars or military defeats, the passing of unpopular laws, government resistance to reform, a rapid deterioration in economic conditions or standards of living, or an act of violence against the people. Revolutionary sentiment intensifies when people believe the old regime is unwilling or incapable of reform and improvement. If the revolutionaries realise change and reform will not come ‘from above’, they become more determined to bring about change ‘from below’. Ideology. Ideas play a critical part in all revolutions. Those who seek change are motivated by new ideas about politics, economics or society. 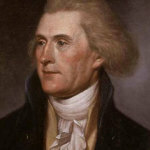 Revolutionary ideas are developed, adapted and articulated by important writers and thinkers, such as Jefferson and Paine in America, the philosophes in France and Marx in Russia. These ideas promote revolution, explain their objectives and justify their actions. 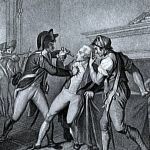 In the American and French revolutions, for example, old ideas about monarchy and the ‘divine right of kings’ were challenged by Enlightenment ideas of self-government and republicanism. The revolutions in Russia and China were underpinned first by liberal republicanism, then later by Marxist socialism. Revolutions often involve a struggle of ideas between the old order and the revolutionaries, or indeed between different revolutionary factions. Flashpoints. In the timeline of every revolution, there are critical moments when revolutionaries come into direct confrontation with the forces of the old regime. This may be a showdown between government troops and protesting civilians, such as in Boston (America, March 1770) or on ‘Bloody Sunday’ (Russia, January 1905). Alternatively, it may be a confrontation of words or ideas, like the signing of the Declaration of Independence (America, July 1776) or the passing of the Tennis Court Oath (France, June 1789). Whatever form they take, these flashpoints bring revolutionary ideas and movements to a head. They directly challenge the power and authority of the old regime and bring about an acceleration in the pace of revolution. Armed struggle. Revolutions, by their nature, are violent struggles between the old regime and those who hope to remove it. Many revolutionaries prepare for armed struggle by forming militias or armies, either to protect themselves or to overthrow the old order. Meanwhile, the old regime mobilises to defend its grip on power. Eventually, the two forces will clash – such as at Lexington Concord (America, April 1775), the Bastille (France, July 1789) and the Winter Palace (Russia, October 1917). This may lead to war. If revolutionary war unfolds, society becomes polarised and individuals and regions are forced to take sides. 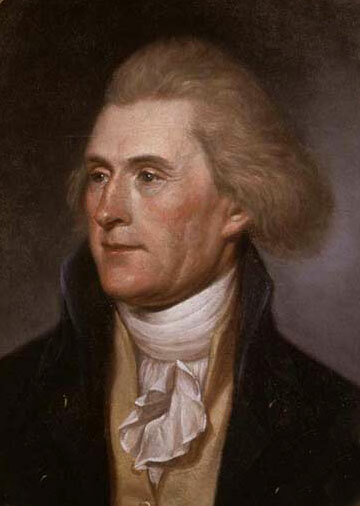 The outcomes of revolutionary war may be dispossession, death and destruction. A grab for power. Having openly demanded change and signalled their intention to fight, the revolutionaries will seek to displace or overthrow the old order. How easily this is achieved depends on the level of popular support and military backing enjoyed by the old regime. Sometimes the old regime is so weak that a transition of political power is made swiftly and with minimal violence, such as in China (October 1911) and Russia (February-March 1917). 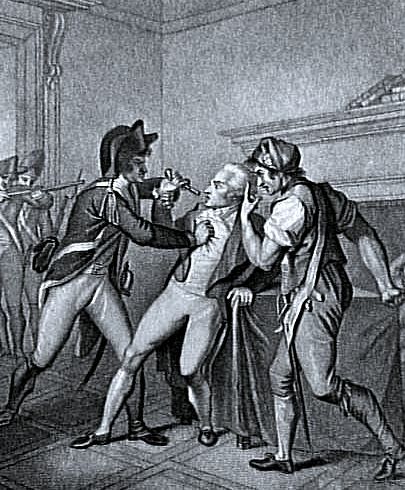 Sometimes the old regime may lose its political power gradually or incrementally, as occurred in France in 1788-1789. There may be a period of military struggle or attempted counter-revolution, as conservative forces resist political change and attempt to restore the power of the old regime. Consolidation and confrontation. Once it has claimed control, the new regime will look to consolidate its grip on power. It must defeat remaining military threats or deal with lingering counter-revolutionaries. It must also face the challenge of rebuilding the new society. Having thrown off the old political system, the revolutionaries must devise and implement a new one. Most importantly, the new regime must earn the support of the people – not just those who supported the revolution but the population at large. The new regime must find solutions for the same social or economic problems and grievances that caused the revolution, such as debt, inflation, food shortages or the misuse of power. They must justify their actions by fulfilling their promises and the ideals of the revolution. Division. As the new regime attempts to rebuild society, it may become divided over aims and methods. Revolutions tend to be better at destruction than construction. They are more effective at dismantling the old order than deciding what will replace it. 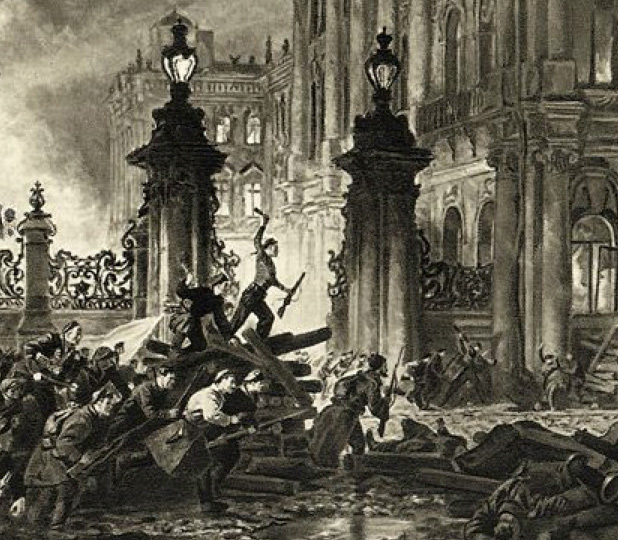 Plans for a new society are often formed ‘on the run’, in the fires of the revolution. As these plans appear, ideological divisions may emerge. The revolutionaries may disagree and form internal factions or separate groups. There may be some dispute, even conflict over the future of the new society. New leaders with different ideas or methods may also appear. Radicalisation. After the revolution, the new society may enter a period of radical political leadership. Radical leaders may claim the revolution is failing to meet its objectives; or that the needs of the people are not being met; or that the revolution is in danger from civil war, counter-revolutionaries or foreign threats. The radicals may seek to address these problems with extreme measures, such as war, terror, grain seizures or price controls. 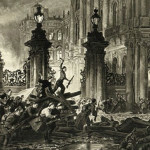 This radical phase may also mark a peak in state-sanctioned violence, such as during the Reign of Terror (France, 1793-94) and the Red Terror (Russia, 1918). Moderation. A radical phase will come to an end when the new regime becomes more moderate. The new government may relax its position or, alternatively, the radicals may be displaced by moderates. Radical policies and methods are abandoned and possibly discredited. The radicals may be isolated or excluded; there may even be a period of violent retribution against them (often dubbed a ‘White Terror’). The new society winds back its radical policies and seeks to restore order, control, stability and prosperity. In most cases, it does this by returning to some of the structures, conventions and policies of earlier times – including from before the revolution. Historians offer different interpretations of the causes and meaning of revolutions. The American historian Crane Brinton (1898-1968), who specialised in the French Revolution, famously likened revolutions to a “fever”. This analogy suggests that revolutions are a negative event, like an illness that needs to be treated or cured. Brinton described radical revolutionaries as “lunatics” and the moderates who slow or halt revolutionary change as “level-headed”. Other historians have more measured views about revolutions. They see them as inevitable, human-driven events that are necessary for society to develop, progress and advance.